A simple melody and a simple patch, previously used a couple of weeks ago. This time, the patch is all by itself, just with a slight touch of reverb. 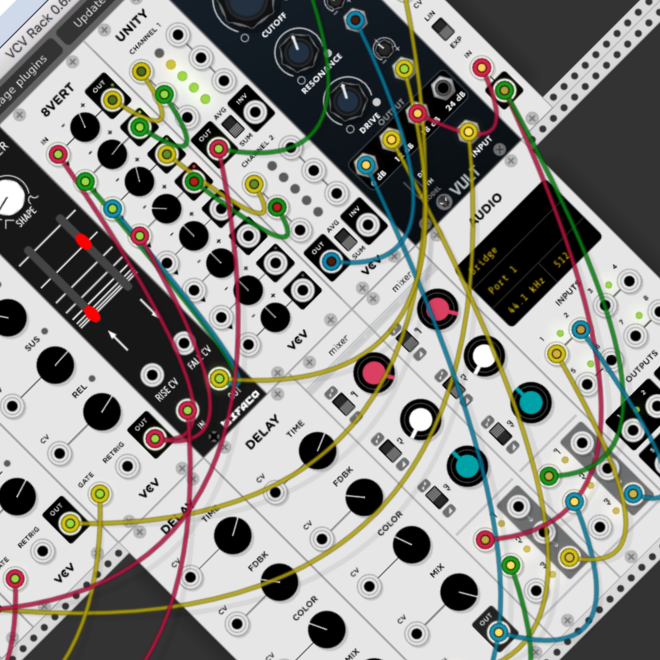 I'm in love with VCV Rack. It gives me both a serious alternative to the physical Eurorack setup and a boost of curiosity for going back to the hardware. Just wishing it run a little softer of processing cycles. It's now heavy on my computer. P.S. : Excuse me if you hear some clicks. I can't tell right now if they're real or caused by my audition software. Certainly cheaper than the equivalent hardware, and, judging by the results you've gotten here, just as flexible. I can understand why it would heavy going for your CPU. Again I like where you are going with the modular stuff, great that you can do all this without the steep cost and space of hardware, I do hear some clicks in there. I really like when the arp wanders off into the low notes. Cool sounding delays for sure. Yea I do hear a few clicks in there as well.